Here's an interesting article about a young man's new way of proceeding with launches of microsatellites. Hudson High School graduate Dane Rudy is looking to reach new heights with his microsatellite company Leo Aerospace, based out of L.A. 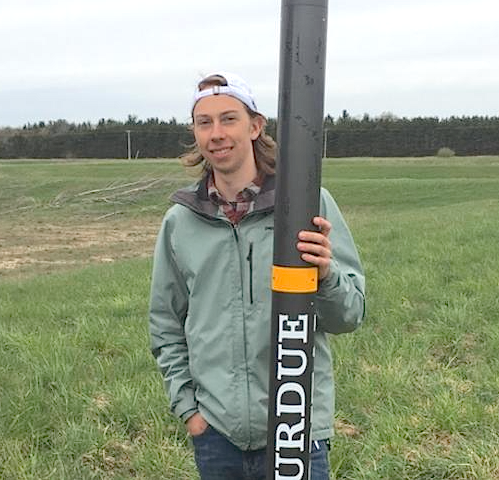 While studying mechanical engineering at Purdue University in Indiana, Rudy began working on a research development team that was looking at new technologies for launching satellites into space. "We came upon this really great concept that we think worked really well on the technological side," Rudy said. After graduation, Rudy worked with an aerospace company, before deciding to focus back on these new technologies with his team. "This is a really incredible opportunity, so I either have to do it now, or it's a now or never type of thing," Rudy said. So a month ago, the team took the leap and launched Leo Aerospace, a company focused on launching microsatellites. Recent technological advancements have allowed satellites to get smaller, shrinking from thousands of kilograms to under 50. These microsatellites are used for everything from research on e-coli to tracking illegal fishing. "That's one of the things that really drives us," Rudy said. Currently these microsatellites are sent up as an add-on to larger launches, hitching a seat in what is essentially a rideshare program for rockets. "These small satellites are sort of an afterthought," Rudy said. Leo Aerospace is making them its main focus. The team is developing a "rockoon," a rocket launch from a balloon. The balloon allows the launch to occur higher up in the atmosphere, making it more efficient, Rudy said. These launches will be for microsatellite developers from commercial, defense and research industries. The commercial is the biggest sphere with clients will be looking to do a variety of tasks with the satellite launches from tracking oil supplies to influencing hedge funds to manufacturing fibre optic cables in space. Rudy said they are most excited for the research aspect. Leo Aerospace has been using grants to conduct analysis and develop prototyping for the project. Now, Rudy said, it's time to move to large-scale testing. "It does take time and money," Rudy said. Which is why the company is now focusing on investment, using equity-based crowdfunding with a $100 minimum. "Anyone that has interest in our vision or the team or wants to be a part of what we're doing," Rudy said. "You can kind of think of it like the Packers being owned by the people." The last year saw a lot of development for space, Rudy said, and it is now no longer an area for big organizations like NASA, but is also open for smaller companies. "Space is becoming open and kind of decentralized and allowing for all sorts of people to enter it," Rudy said. No matter the background, Rudy said anyone can be involved with space now. "It's very humbling to kind of see how this technology, it's not just for NASA, it's not just for PhDs anymore, it's really for everyone," he said. Leo Aerospace has the goal to get to orbit by 2022, Rudy said. "That seems like a long time but it's actually pretty aggressive for the space industry," he said. Other milestones are planned for along the way, including an edge of space launch in 2020, which has a growing market. Current costs for microsatellites are around $50,000 per kilogram, Rudy said. Leo Aerospace is focused on launching up to 25 kilograms for $1.5 million. By 2022, Rudy said reports from Space Works forecast more than 600 satellites will be looking to launch. Leo Aerospace plans to launch 50 a year once it's fully up and running. "We have to scale upwards, we won't do that the first year," Rudy said.